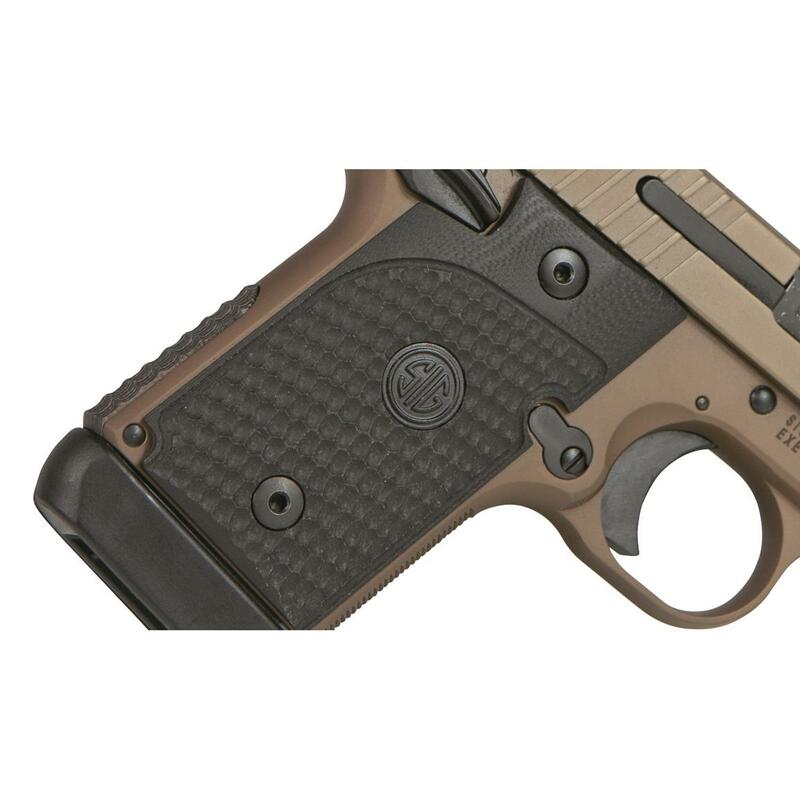 The P938 offers the ballistic advantage of the 9mm cartridge in a platform similar in size to the best-selling .380 Emperor Scorpion pistol. With dimensions just slightly larger than its .380 ACP counterpart, the P938 packs 7+1 rounds of 9mm into an all-metal frame. A single-action-only trigger, full-size SIGLITE night sights, and 1911-style controls give the P938 the familiar handling of a larger pistol—but in a size that tucks neatly into your waistband. 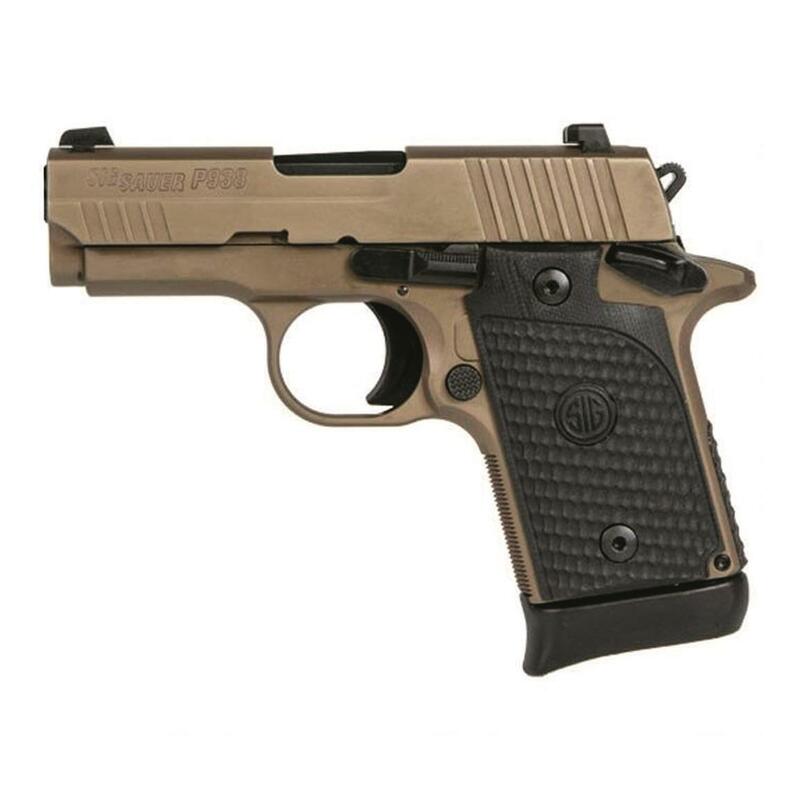 SIG SAUER P938 Emperor Scorpion Micro Compact, Semi-Automatic, 9mm, 3.5 Barrel, 7+1 Rounds is rated 5.0 out of 5 by 1. Rated 5 out of 5 by Russ C from Awesome! GET ONE! My wife wanted a Sig Sauer 238 Rainbow, so I got it for her. I liked it so much, that I bought the gold one. Then the blue one.... we now have 5 of them in the family. I also bought a 938 (9mm). It's fair to say that we love them and have never had a problem with any of them. BUY ONE! You deserve it!